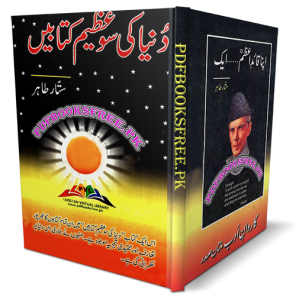 Duniya Ki 100 Azeem Kitabain authored by Sattar Tahir. The present book is probably the Urdu translation of English book “The 100 Most Influential Books Ever Written” of Martin Seymour-Smith (1928-1998) a British poet, critic, and biographer. In this book the author described complete introduction and critical analysis of 100 selected book ever written from the ancient times to the 20th century. Sattar Tahir is a prominent literary writer, translator, columnist, journalist and top researcher of Pakistan. He was born on 1st May, 1940 and died on 25th March, 1993 in Lahore. He performed the editorial duties of several important Journals, including Sayara Digest, Qaumi Digest and Women’s Digest. He is the writer and translator of more than 250 books including this one. Duniya Ki 100 Azeem Kitabain book is now available here on Pakistan virtual library for online reading and download in high quality Pdf document. Check out the following links to read online or download the complete book in Pdf format and enjoy offline reading.